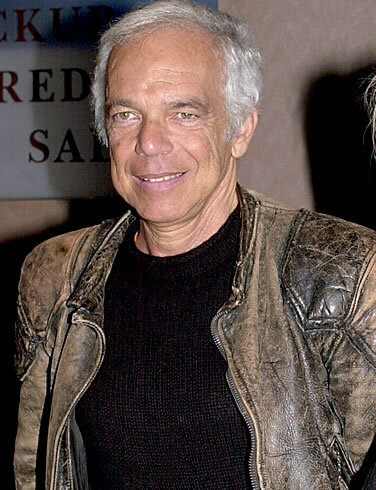 American style icon Ralph Lauren has opened the doors of his Rocky Mountain ranch for the first time to Oprah Winfrey. The chat show host met with Lauren and his wife, Ricky, at their 17,000-acre property, located just outside Telluride, Colorado. 'I can't tell you how many times I've driven on that road and counted the miles of your fence, tried to look over, like so many people do, in their neighbourhoods,' Winfrey said. Lauren began working in fashion when he was in his 20s, and in 1967 he came up with the idea that launched his career - a new men's tie design. Lauren says Bloomingdale's representatives asked to put a rack of his ties in their store. The ties flew off shelves, and later that year, he started his own fashion company - named Polo. Lauren told Winfrey when life got hectic in New York City he and his wife started searching for a place to escape to out West.